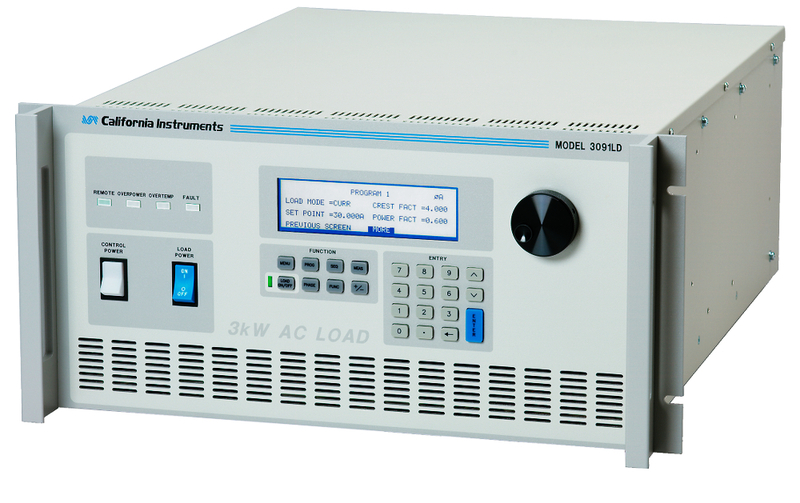 The 3091LD is designed to provide precisely controlled, non-linear loads for testing AC power generation equipment such as UPSs and AC sources. In addition, any active or passive current carrying devices such as switches, circuit breakers, fuses, connectors and power semiconductors can be tested. Traditionally, many of these products are tested using resistive load banks. This approach does not simulate real-world conditions such as switching DC/AC converters found in many AC powered products. This type of conventional testing does not fully exercise the equipment under test (EUT) under worst case operating conditions. High peak currents and low power factor loads can significantly impact the operating characteristics of a UPS or AC power product. The 3091LD AC Load can simulate high crest factor and variable power factor load conditions.